Whats Kookin with Illya Kuryakin? David's father, who is concertmaster of the London Symphony Orchestra, has just finished a tour of America as guest concertmaster of the Montavoni Orchestra. After six weeks of touring America, Mr. McCallum arrived Los Angeles, where he spent two weeks with his son. David had a ball showing his dad around Hollywood. For those of you who were worried, David is not about to quit the U.N.C.L.E. series. His contract with MGM was recently renegotiated. he got a very substantial raise (so did Robert Vaughn), and he's very happy. After releasing the singe record (he wrote the melody and Paul Francis Webster wrote the words), In The Garden Under The Tree, David went to work on another LP for Capitol Records. In the evening, aside from visiting his own children, David finds time to visit the young people at the National Foundation For The Junior Blind. In his spare time he also visits a children's home in Inglewood, Calif., where he spends hours chatting with the youngsters there and conducting sing-alongs. As for romance, it seems that Kathie Carpenter is still the number-one girl in David's life. She has visited him in Los Angeles (where recently they were seen shopping for household furniture together at one of the big department stores), and he has visited her in New York on weekends (where recently they were seen shopping for knick-knacks in the 5 & 10 cent store). Contrary to popular opinion, David spends as much time as possible with his fans. Recently, a fan club president from Passaic, N.J. called David on the set at U.N.C.L.E. It seems that she and her 22 club members were all huddled around a phone booth on a Passaic street corner. They not only got through, but David insisted on personally speaking to each of the girls. So that was like 44 minutes and some 30-odd nickels--but well worth it to David, who was thrilled by their enthusiasm. 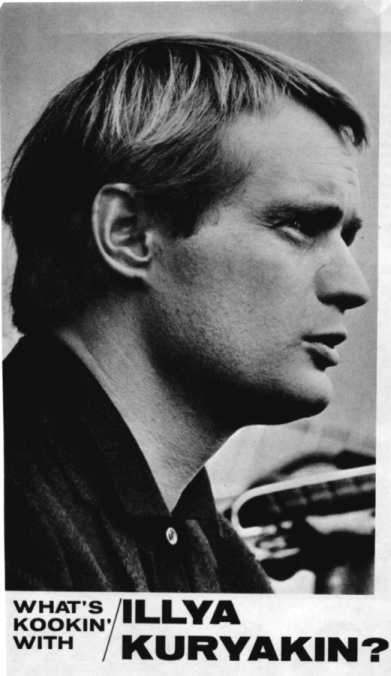 If any of you other McCallum-Kuryakin fanatics would like to write to David, send your letters to MGM-TV, 10202 Washington Blvd., Culver City, Calif.